It’s a familiar story. 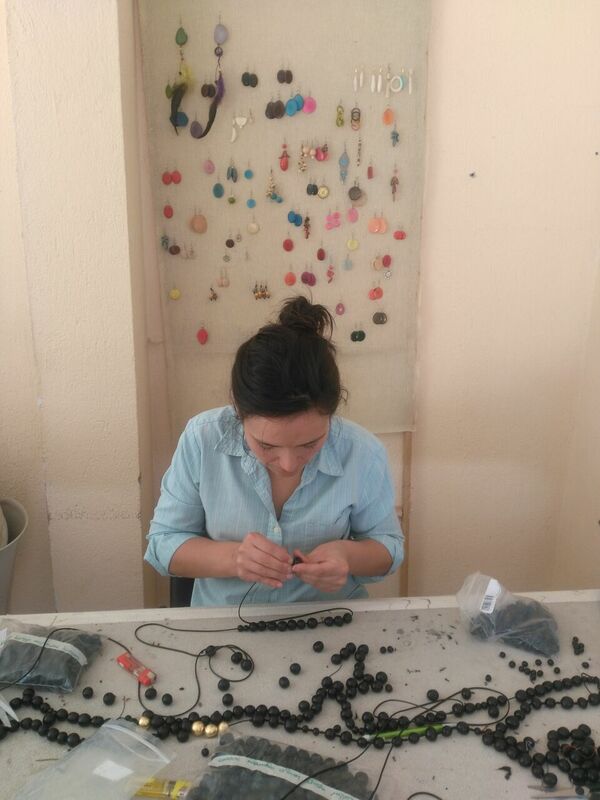 Talented woman takes on Wall Street, only to leave four years down the line and discover her true calling: ethical jewelry design. Okay, it’s not that familiar. 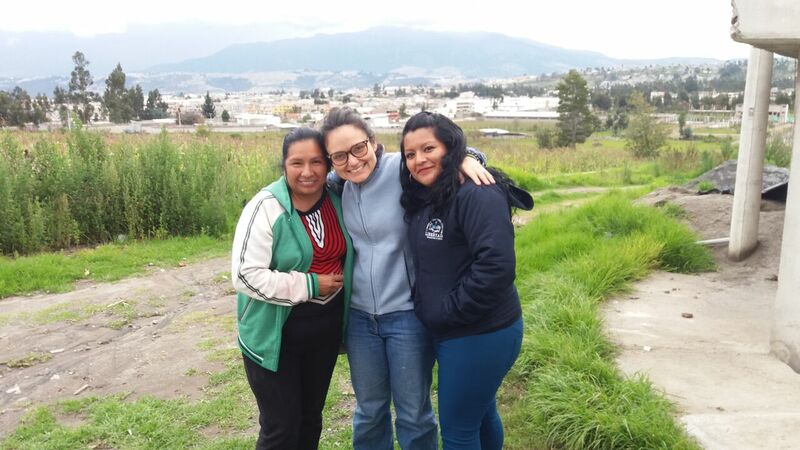 And besides, the tale of Paola Delgado, Peruvian banker-turned-creative, has a bit more to it, including a pilgrimage to her home country and, of course, a dash of uncommon impact. Driven by a desire to connect with others and an ambition to find herself, Paola left her job at Goldman Sachs in 2011 in search of a more meaningful path. From New York City, where her business is now headquartered, she traveled to her native Peru, where she delved unexpectedly into a craft she’d enjoyed as a child. You guessed it: We mean jewelry-making. 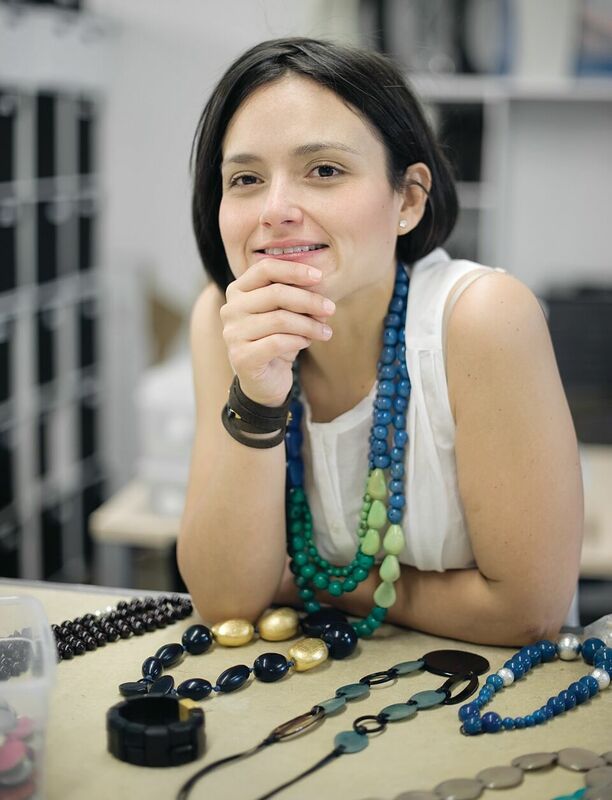 Following a bit of soul-searching, Paola decided to turn her hobby into her job, soliciting artisans in Ecuador and Peru to produce designs in her signature material, tagua seed. Harvested sustainably from pods that fall from local palms, tagua offers a cruelty-free alternative to ivory that minimizes damage to the environment and looks pretty darn good when carved by the artisans in Paola’s employ. When we first heard Paola’s story, we knew we had to talk to her one on one. Read on for more on Paola’s journey, from the difficulty associated with saying “tupananchiskama” to financial stability to the logic behind her recent choice to work with only women artists, and find out just what makes her creations so special. What prompted you to leave Wall Street behind in favor of jewelry design? It was primarily driven by the desire to connect with people on a more meaningful level. As I was growing older and becoming a woman of my own, I wanted to share this experience with other women that were going through the journey of womanhood. As a woman, there is nothing more personal than jewelry. It is the item that you put on last when getting ready in the morning and it is the piece that you wear closest to your face. Being able to design, create, and sell something like that is awesome. Did you find it difficult to walk away from your career in finance? Incredibly difficult. I walked away from stability and a six figure salary to the unknown. I was not a jewelry designer, I had never had another job or internship other than the one that I had in finance and I did not even know what wholesale was. It was challenging, frustrating, and [an] incredibly rewarding experience. You used to make jewelry as a kid, too. When you left Goldman Sachs, did you set out with a creative career path in mind? Or did it happen by chance? It honestly happened by chance. However, when I was in college and I made some jewelry for some friends, one of my closest friends told me, “you will make with this one day.” I thought she was crazy at the time. I was set in having a career in finance. Part of what makes your jewelry so interesting is its sustainable quality. Has sustainability always been important to you? How did you decide to make it such an integral part of your business? Honestly it was not. … I fell in love with tagua for the small nuances that make it special. Growing up my father used to work exporting wood from the Amazon rain forest. For me, the smell and the looks of “fresh wood” have always had a calming quality to them. 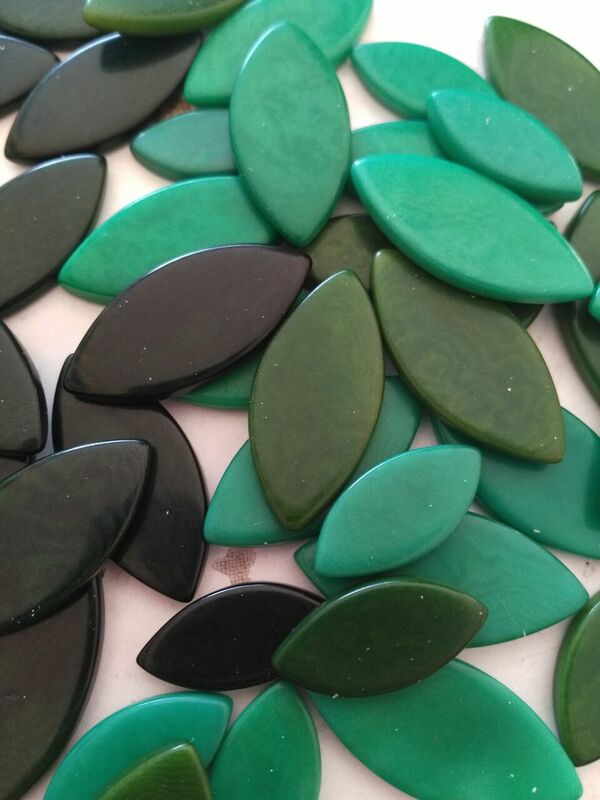 Tagua is very similar [to] wood: It has a grain, it has a special scent when is fresh, you need to know its intricacies when you work with it in order to properly use the material. It was when I was already in love with tagua that I discovered the part about sustainability and that just made me love it and want to work with it even more. You’ve also demonstrated a strong commitment to your employees, providing them with educational opportunities, healthcare benefits, and fair wages. Could you talk a bit about your relationship to your artisans and why these endeavors are important to you? 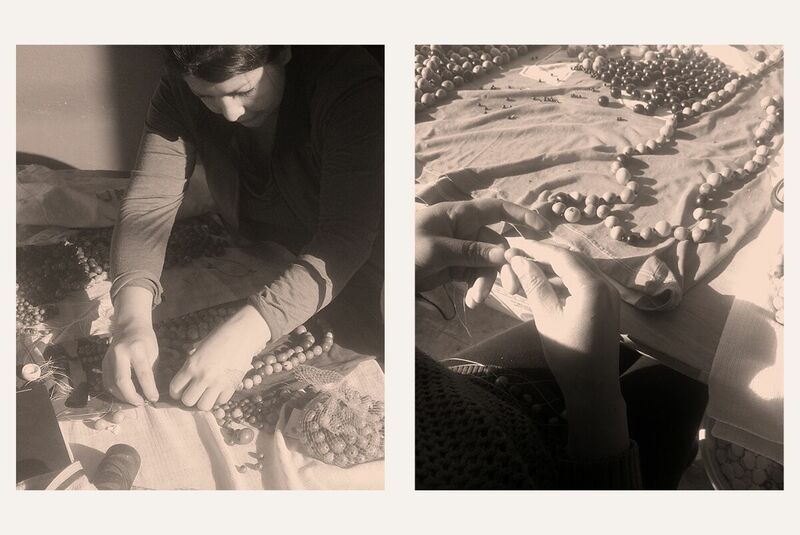 In the past year, [we have] made the decision of working solely with women artisans. I think that this commitment is the end of the cycle of the company and allows me to embrace a full circle of connectivity. In Latin America there is still a strong culture of male dominance. This bothered me as a child and it drives me crazy as a woman. 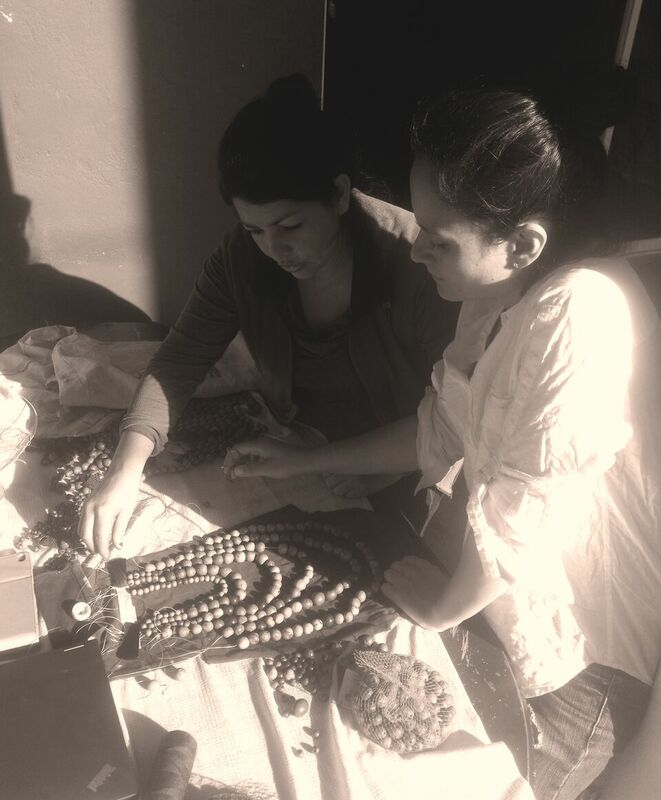 By giving the artisans that we work with education opportunities and fair trade wages, we try to give them the tools to achieve financial independence and come [into] their own. For me, treating the people that you work with [with] respect is sensible and sustainable business practice. What has been the most exciting thing about building your business? What about the most rewarding thing? Exciting: Creating something beautiful that lights up another women from scratch. Rewarding: That someone else wants to actually give me money for a “thing” that I created and have it with her every day. Finally, where do you look for creative inspiration? The woman that shops from me. Every design decision is based on who they are, on her fears, aspirations, and dreams. I look for her in different aspects of her life for inspiration. Thanks for your article. The jewelry items are traditional and gorgeous. What a great idea to make jewelry from tagua seed. Who would’ve known seeds could be so beautiful!